Global client base... Join the many fortune 100 companies and thousands of small businesses across the globe that are using FastField to achieve greater business efficiency, collect better data, and deliver a better inspection product to their clients. Our Mission... To help the paper-heavy world of business make the leap to mobile inspection forms with the features and functionality that truly deliver efficiency. So co-founders Steve Schroeder, Jeff Stay and their team of technology professionals took on the challenge of delivering what the mobile workforce needed—a, cross-platform, device-independent inspection forms technology that moves PDF and paper inspection forms to mobile devices. The mobile solution couldn’t stop there. To do it right, it had to rock it out of the ballpark by meeting thousands of use cases, thousands of "wish-list" item, and integrate with hundreds of systems. Start now because the world is changing... Today, Thousands of companies use Merge Mobile's FastField system to perform daily inspections using mobile devices. Click here to see just a few examples of how FastField is being used across the globe. While Jeff's credentials earn him respect in the tech world, he attributes his business success to knowing that technology’s only real value lies in the benefits it delivers to people and businesses. 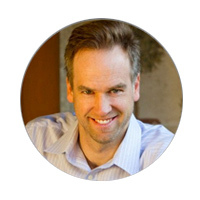 Prior to co-founding Merge Mobile, Jeff earned his stripes designing automated systems that improved efficiency in the mortgage and finance industries. He co-founded VisionCore, a software engineering firm specializing in custom software design and development that was acquired by CoreLogic in 2005. Jeff continued on with CoreLogic, serving as vice president of the company’s professional services group and innovation lab until he decided to strike out to start Merge Mobile. 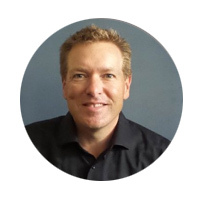 Jeff’s more than 20 years in technology consulting began at Accenture® and has included major product and systems development projects for a variety of industries. He obtained a Bachelor of Science Degree in Business/Management Information Systems at California Polytechnic State University. A business veteran who co-founded CoreLogic, now a $6 billion public company (CLGX). "Success results from delivering technology solutions that simplify existing business processes or add much- needed capabilities." In his role as chief strategy officer, Steve stays busy discovering potential clients’ unmet needs and helping the company define and develop commanding solutions. It’s a process he knows well from his early days at CoreLogic, when he and his small team revolutionized automated valuation models (AVMs) for residential properties. Under his leadership, CoreLogic grew quickly, gaining a place on the Inc. 500 list of Fastest Growing Companies for three consecutive years, and earned respect for its ability to find and fill mortgage industry gaps with innovative analytic tools. As CEO, Steve spearheaded CoreLogic’s development of LoanSafe®, HistoryPro®, AVMSelect®, and many other automated tools that gained wide industry acceptance. Prior to the selling CoreLogic to First American Real Estate Solutions in 2007, Steve’s technologies were in use at most of the country’s top-ten lenders and were processing more than 70 percent of all U.S. mortgages. © Copyright 2013 Merge Mobile Inc.